In most cases, Dr. Azmoodeh and his team work hard to avoid extractions when they aren’t necessary. At the end of the day, saving your natural tooth is always a better solution than simply extracting it. However, some situations require an extraction, either because there isn’t enough salvageable tooth left or the neighboring teeth are at risk of damage if left in the mouth. If your tooth is severely damaged or your wisdom teeth are beginning to erupt, don’t hesitate to contact our office today! Teeth are made from enamel, which is the hardest substance in the human body. With that being said, teeth are still fragile to long-term plaque exposure and trauma. If a tooth is so damaged that a filling or crown will not be enough to restore it, whether it’s from a sporting injury or a very large cavity, your dentist will extract it to prevent infections of neighboring teeth. If your wisdom tooth erupts but fails to break through the gums because it’s caught underneath a neighboring tooth, it is impacted. Impacted teeth significantly increase the risk of infection and need immediate removal to prevent permanent damage. Furthermore, the human mouth rarely has enough room to account for additional wisdom teeth and are routinely removed to prevent misalignment and crowding. The type of extraction your dentist uses will depend on your unique case. Most tooth extractions can be broken down into two categories: simple and surgical. Simple extractions involve removing teeth that are easily visible inside the mouth. Before the extraction, they apply a local anesthetic to the tissue holding the tooth to effectively numb the area and prevent any discomfort during treatment. Alternatively, surgical extractions are necessary when teeth are not easily visible or accessible. 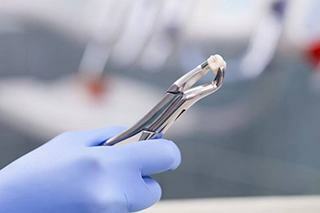 When teeth are impacted, an incision must be made into the connective tissue in order to access the tooth. This typically involves breaking the tooth into smaller pieces and removing them that way. 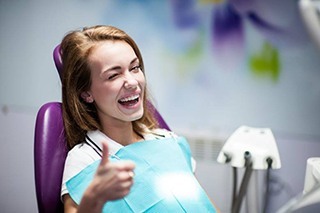 On top of the local anesthetic to numb the area, your dentist offers multiple forms of sedation dentistry to help you stay as relaxed as possible during your extraction. For patients with mild levels of anxiety or fear, nitrous oxide is an ideal solution. This sedative is administered through a nasal mask and stays on for the entire appointment. Once removed, you’ll be able to continue your daily activities. Patients that have more moderate or severe dental phobia or anxiety may be recommended oral conscious sedation to provide relief. This method comes in pill form and is much stronger, therefore requiring a friend or family member to drive you to and from the appointment. Tooth extractions in Plano are easy when you have a professional team with the right tools to make it happen. Contact us today to protect your oral health from damaged or intrusive teeth!